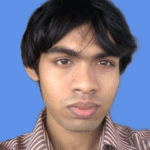 In this article, I will show you how to Zip and Unzip a Folder or Directory in Linux. This might seem trivial, but sometimes people will struggle to get it right. Let’s get started. Zip and unzip packages should be installed. In my case, they are already installed. zip and unzip packages should be installed. If you have any graphical desktop environment installed on your chosen Linux distribution, then you can use it to Zip archive any folder you like very easily. First open your favorite File Manager and go to the location where you have the folder you want to Zip archive. 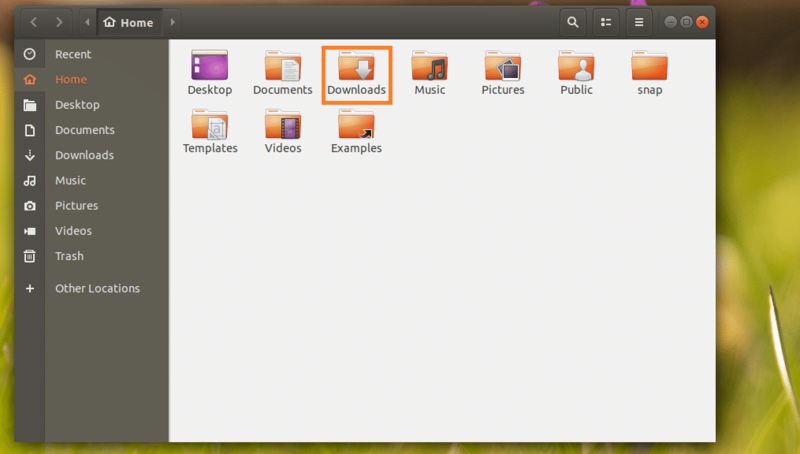 In my case I am using the Nautilus file manager in GNOME 3 desktop environment. Let’s say you want to Zip archive the Downloads/ directory as marked in the screenshot below. Now right click on the Downloads/ directory and click on Compress… as marked in the screenshot below. Once you’re done, click on Create. A backup.zip file should be created. This is the Zip archive of the Downloads/ directory. If you don’t have any graphical desktop environment installed on your computer, don’t worry. You can still use the command line interface (CLI) to Zip archive a folder. NOTE: PATH is the location where your desired folder is located. For example, if you want to Zip archive the /etc directory. So the PATH should be the root directory /. Again, if you want to Zip archive the /etc/apt directory, then the PATH should be /etc. Let’s Zip archive, /etc/apt directory. NOTE: Here FOLDER is the directory that you want to Zip archive. OUTPUT is the path to a file where the Zip archive of FOLDER will be saved. The /etc/apt directory or folder should be Zip archived. 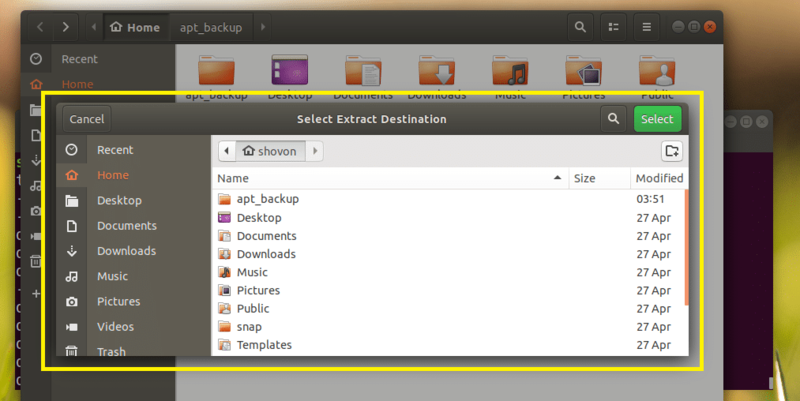 It should be save to ~/apt_backup.zip file as you can see from the screenshot below. If you have a graphical desktop environment installed, then extracting the Zip archive is very easy. Just right click on the Zip archive you want to extract and you should see the following menu. Select either Extract Here or Extract to… to unzip it. If you want to extract the archive to your current working directory (the directory you’re in right now), then click on Extract Here. It should be extracted as you can see from the marked section of the screenshot below. A directory picker should be opened as you can see in the marked section of the screenshot below. Select a directory and click on Select. The Zip archive should be extracted in that directory as you can see in the marked section of the screenshot below. If you don’t have the graphical desktop environment installed on your Linux distribution, don’t worry. You can extract the Zip archive using the command line interface (CLI). NOTE: EXTRACT_DIR is the directory where you want to extract the Zip archive. NOTE: Here ZIP_ARCHIVE is the path to the Zip archive that you want to extract. For example, let’s extract the ~/apt_backup.zip file to ~/Downloads/ directory. ~/apt_backup.zip file should be extracted. 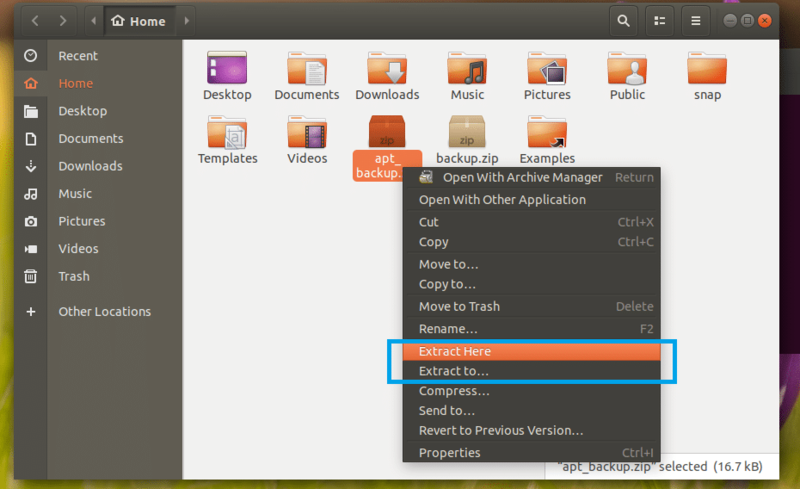 That’s how you Zip and Unzip a Folder or Directory in Linux. Thanks for reading this article.